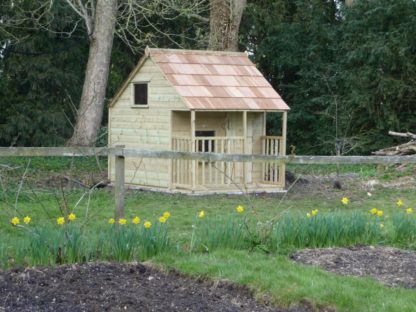 Apple cottage is our own design and part of the Orchard Play range of wooden playhouse made for children. These play houses are made to order and generally take 3 weeks depending on the order books. 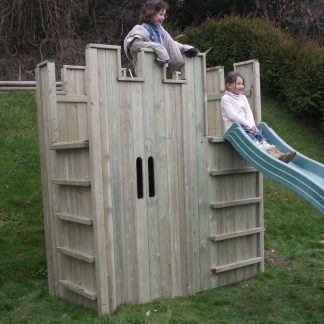 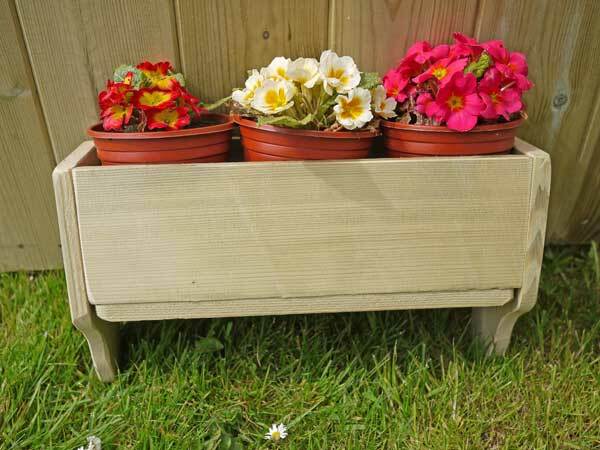 They come in a standard size or can be redesigned to fit any garden’s play area. 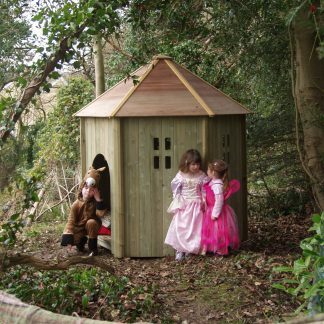 They are generally large enough to use by adults as well as children. We use top quality tanalised Finnish Redwood timber to give a long life. 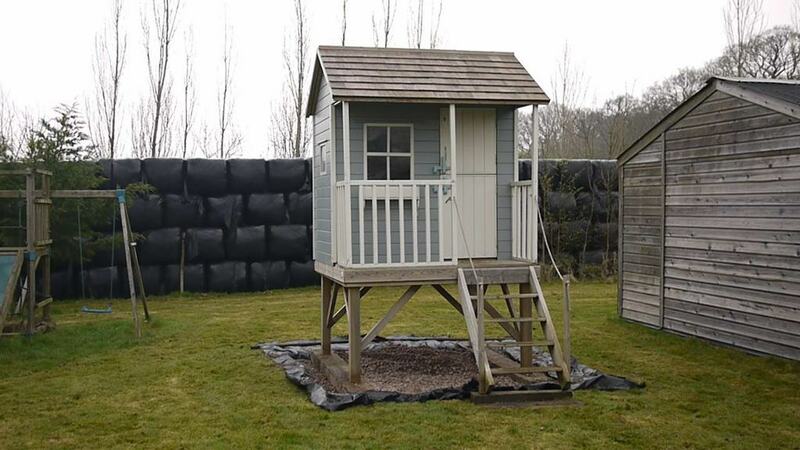 We raise the floor of the ground to help prevent damp using 3 X 2 inch tanalised timbers. We use marine quality ply for floors and the roof can be felted or shingled. 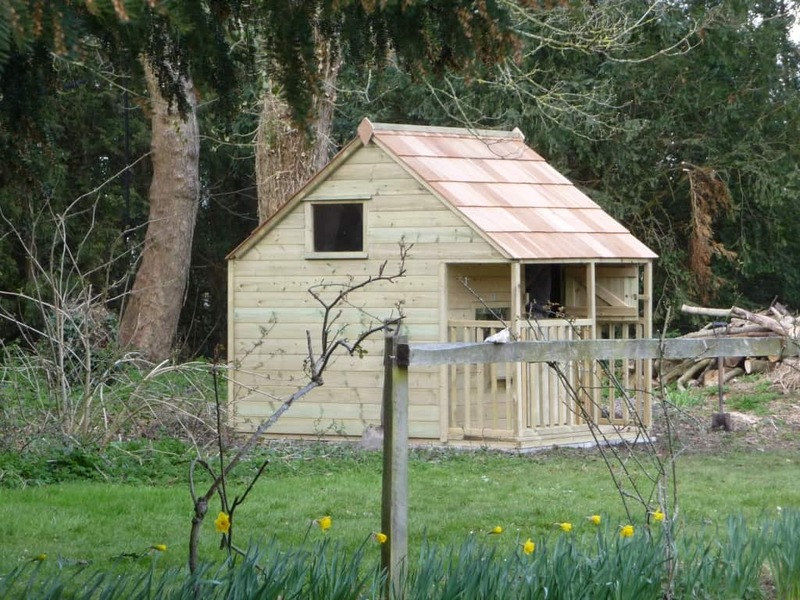 The nails holding the timber to the frame are stainless and we use a high quality wood screw to hold the frames together. 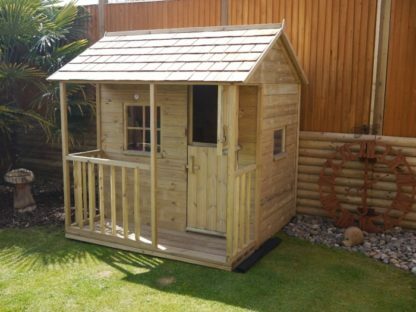 Windows are made in our own work shop with all the timber door latches and we use a clear sheets of plastic as opposed to perspex. 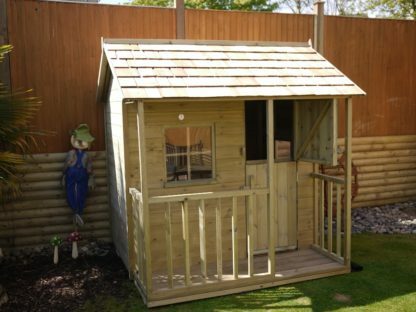 The high quality build and design of the Apple Playhouse allows to be confident and proud of our product. The play house is made with tanalised timber and a felt roof as standard. 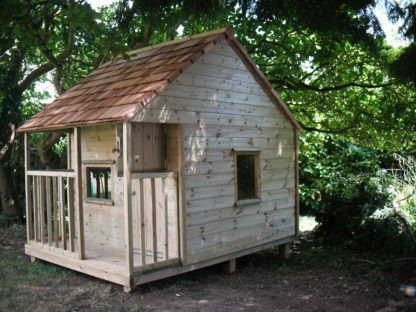 The playhouse comes with a solid door on the right as you face the house. 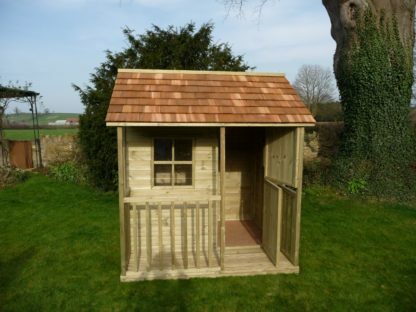 The playhouse comes with a timber verandah. The playhouse comes with two windows, one to the left of the door and one to the right side as you look at the front of the play house. 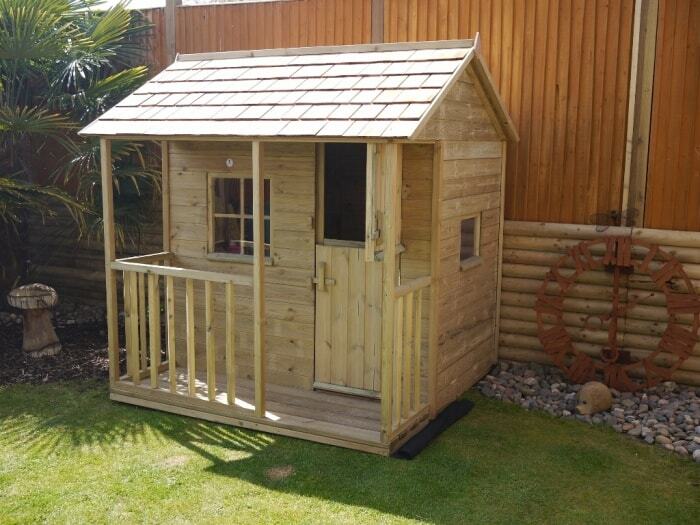 The corners and the roof come with cover strips giving the house a great look. 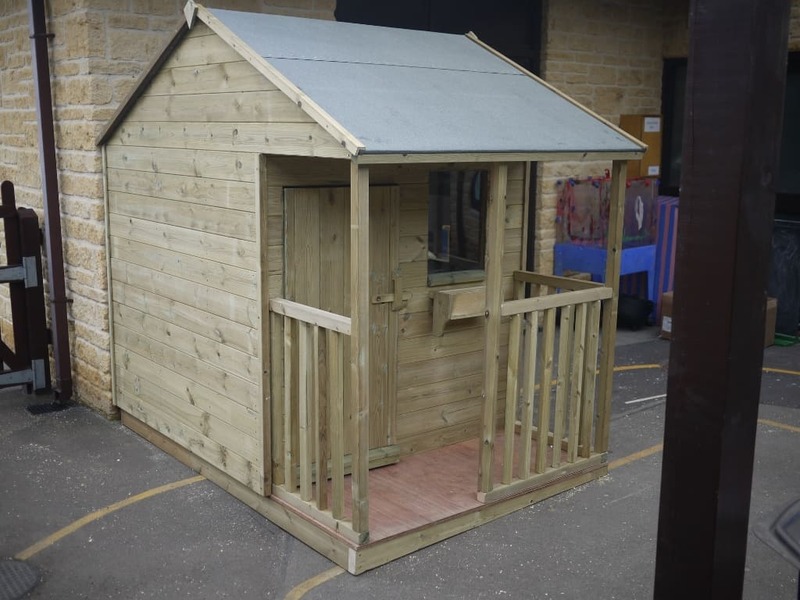 The high quality build and design of the Apple Playhouse along with the top quality of our timber, allows us to be confident and proud of our product. Consisting of a play house of 6′ X 4′ and a verandah of 6′ X 2′. 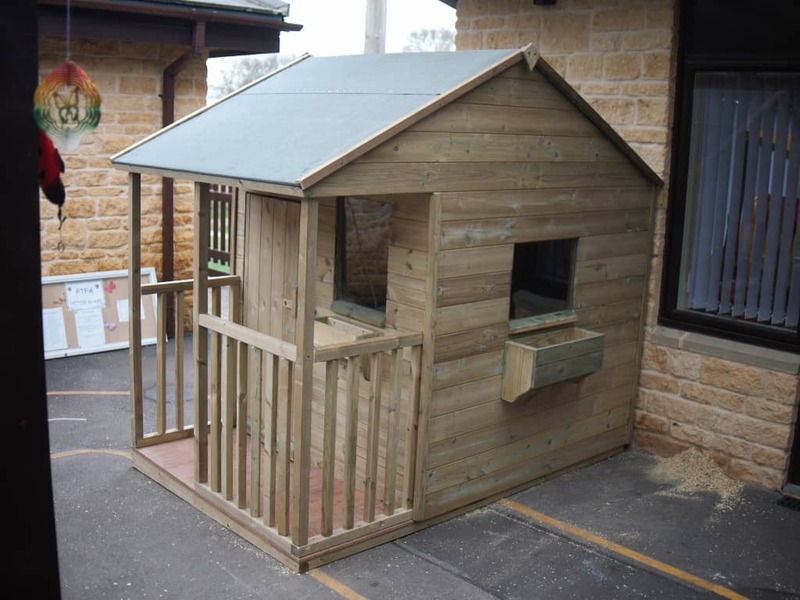 The play house can be built on a stand and have slides and accessories added. 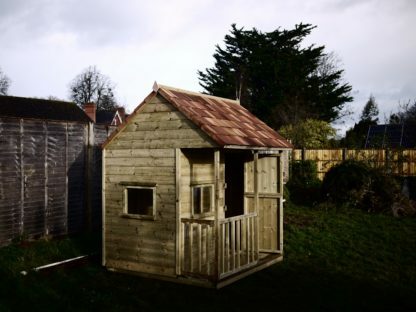 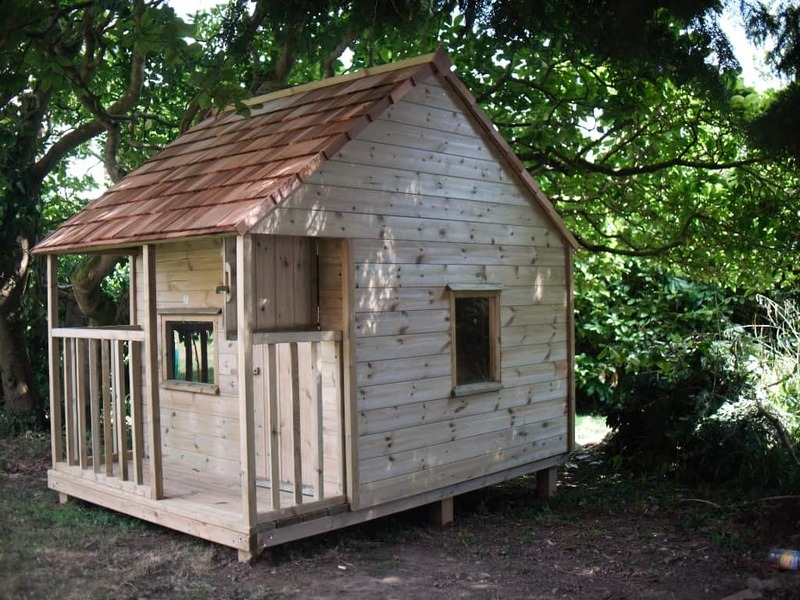 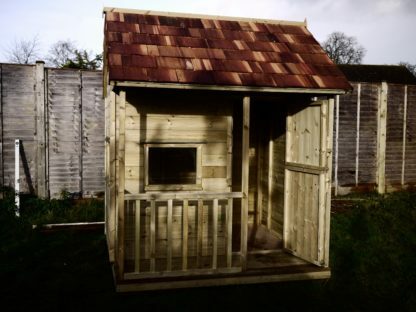 The roof can be made of timber and felt or the play house can have a Cedar Shingle roof instead. 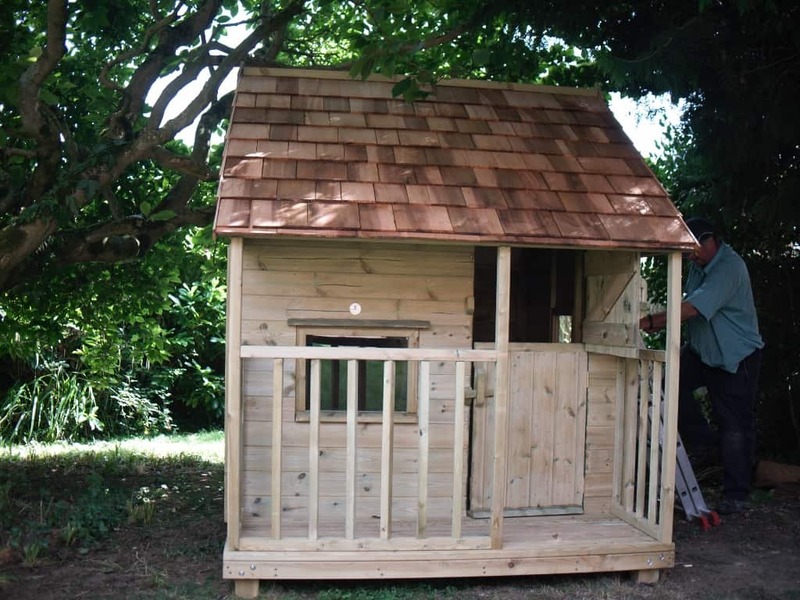 We can build a loft inside the playhouse with a ladder for access. 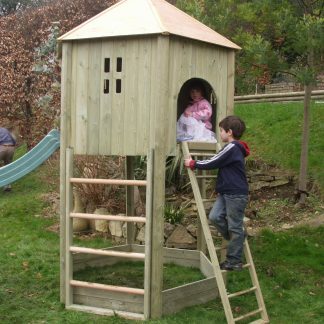 The playhouse can be built on a platform that can have a variety of accessories added, such as climbing nets, slides, steps, ladders and gangplanks. 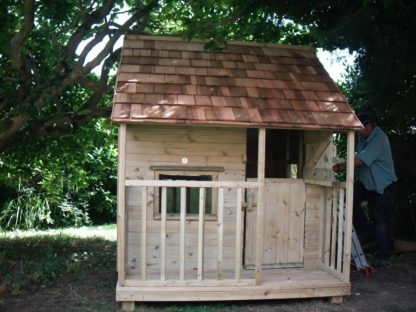 This playhouse could be built in a tree or next to one to feel like a tree house.